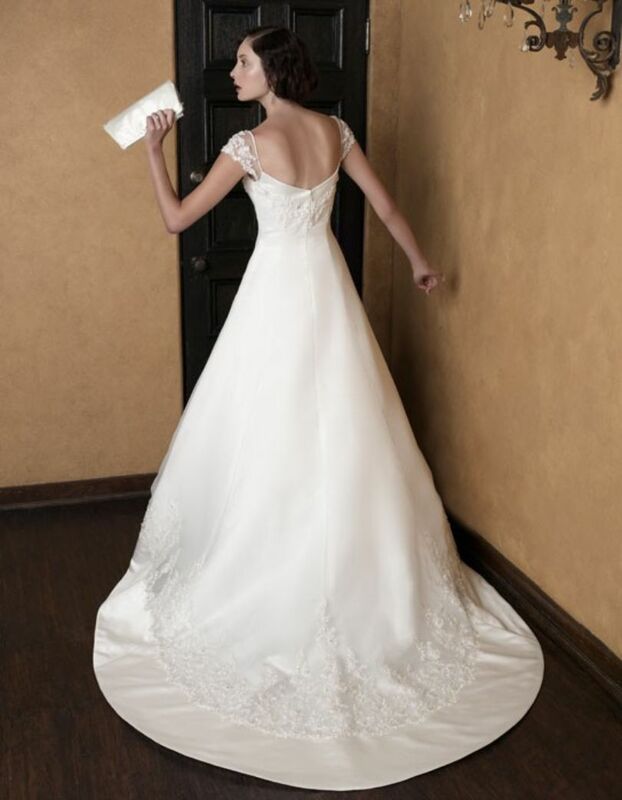 This charming gown has a clean A-line silhouette with chapel train. Very wide satin band at hemline highlights the elaborate beaded lace design used on skirt, which compliments that on the top bodice. Cap sleeves in netting complete the look of this romantic creation.